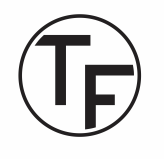 Tom Fisher offers a full repair and restoration service, helping both professional and amateur players keep their instruments in the best playing condition - and fixing the occasional accident. 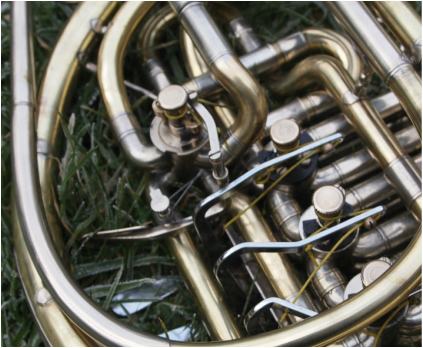 "I'm delighted with the feel and response of the valves on my Rauch, a huge improvement. My horn felt great to come back to. Many thanks for your care and attention.". 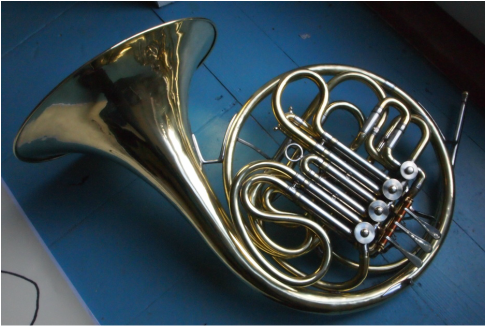 Servicing starts at £120 for a full double horn, with other models and instruments costed individually. Servicing includes cleaning valves (using non corrosive and non-abrasive methods) lubricating and re-assembling, replacing stops and strings where necessary, cleaning valve slides, full lubrication and re-assembly. Valve restoration is costed by the hour. Tom uses plating or sleeving, as appropriate, to bring valve rotors and pistons up to size. Hand lapping brings the clearances back to new specification and can transform an instrument. Dent Work - here are before and after pictures of a bell spout repair - the owner was so pleased, he changed his shorts. 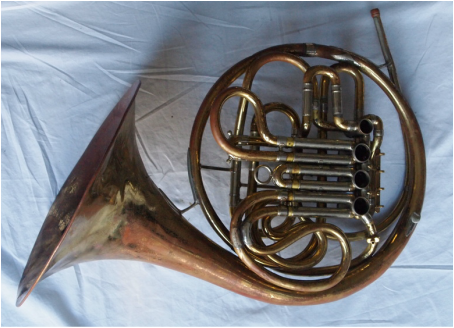 Tom has developed solutions to the ergonomic problems that affect some designs of horn - particularly American Kruspe wrap doubles. 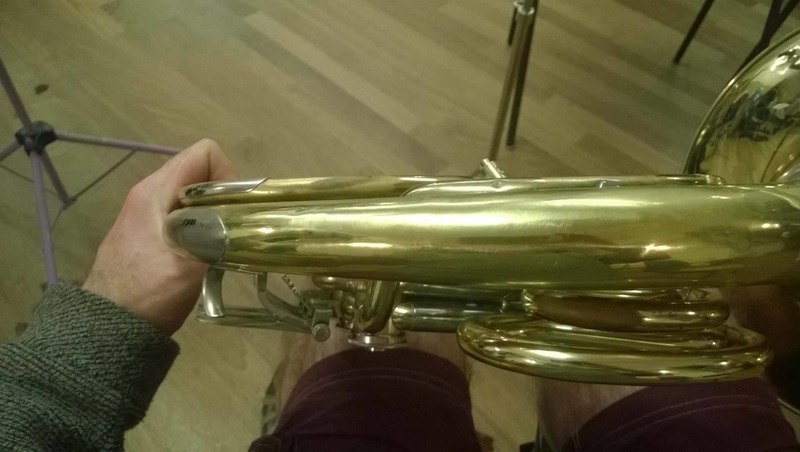 His designs for a thumb-lever make it possible to stand the instrument in F or Bb and can offer adjustments that allow the hand to adopt a more natural position. The pictures below show two designs for a reversible thumb lever fitted to a Reynolds double. These modifications are designed to allow the instrument to be returned to standard in the future.